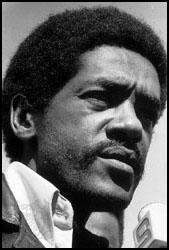 Bobby Seale, the son of a carpenter, was born in Dallas, Texas, on 22nd October, 1936. During the Second World War the Seale family moved to Oakland, California. After leaving Oakland High School he joined the United States Air Force. Seale served for three years until being court-martialed for disobeying the command of a colonel at Ellsworth Air Force Base in South Dakota. In 1962 Seale entered Merritt College in Oakland, California. While a student he head Malcolm X speak at a public meeting. Influenced by what he heard, Seale joined the Afro-American Association and became active in the civil rights movement. 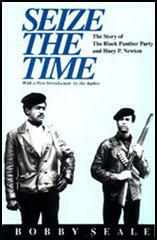 In 1966 Seale joined with Huey Newton to form the Black Panther Party (BPP). Initially formed to protect local communities from police brutality and racism, it eventually developed into a Marxist revolutionary group. The Black Panthers also ran medical clinics and provided free food to school children. 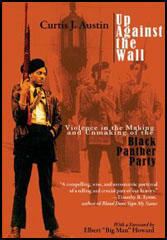 The activities of the Black Panthers came to the attention of J. Edgar Hoover and the FBI. Hoover described the Panthers as "the greatest threat to the internal security of the country" and in November 1968 ordered the FBI to employ "hard-hitting counter-intelligence measures to cripple the Black Panthers". The Black Panthers had chapters in several major cities and had a membership of over 2,000. Harassed by the police, members became involved in several shoot-outs. In 1967 Huey Newton was found guilty of killing a police officer but his conviction was overturned 22 months later. On 6th April, 1968 a carload of BPP members, including Bobby Hutton and Eldridge Cleaver, was ambushed by the Oakland police. A shoot-out lasted for over an hour before the Panthers surrendered. Soon afterwards the police shot Hutton more than twelve times. In 1968 Seale was one of the radicals charged with conspiring to incite riots around the Democratic Party Convention which endorsed Hubert Humphrey as its presidential candidate to take on Richard Nixon. Seale's fellow defendants included David Dillinger (Liberation), Tom Hayden (Students for a Democratic Society), Rennie Davis (National Mobilisation Committee) and Abbie Hoffman and Jerry Rubin of the Youth International Party). When Seale repeatedly interrupted court proceedings the judge ordered him to be bound and gagged. Seale was found guilty and sentenced to four years in prison for 16 counts of contempt of court. While in prison Seale was charged with murdering Alex Rackley, a former Black Panther suspected of being a police informer. On 25th May, 1971, the trial ended in a hung jury and the judge ordered all charges against Seale to be dropped. After being released from prison in 1972, Seale renounced political violence and concentrated on conventional politics. In 1973 Seale ran for mayor of Oakland and came second out of nine candidates with 43,710 votes. Over the last twenty years Seale has worked on a variety of community projects and published several books including Seize the Time (1970), an autobiography, A Lonely Rage (1978) and Barbeque'n with Bobby (1987). One Monday morning Huey Newton called me up and said, "Bobby, come over to the house right quick." I went over to the house. Huey showed me the papers. He said, "Look here, Mulford is up in the legislature now, trying to get a bill passed against us. We don't care about laws anyway, because the laws they make don't serve us at all. He's probably making a law to serve the power structure. He's trying to get some kind of law passed against us." He said, "I've been thinking. Remember when I told you we have to go in front of a city hall, in front of a jail, or do something like we did in Martinez, to get more publicity, so we can get a message over to the people?" This was Huey's chief concern, getting the message over to the people. So Huey says, "You know what we're going to do?" "What?" "We're going to the Capitol." I said, "The Capitol?" He says, "Yeah, we're going to the Capitol." I say, "For what?" "Mulford's there, and they're trying to pass a law against our guns, and we're going to the Capitol steps. We're going to take the best Panthers we got and we're going to the Capitol steps with our guns and forces, loaded down to the gills. And we're going to read a message to the world, because all the press is going to be up there. The press is always up there. They'll listen to the message, and they'll probably blast it all across this country. I know, I know they'll blast it all the way across California. We've got to get a message over to the people." Huey understood a revolutionary culture, and Huey understood how arms and guns become a part of the culture of a people in the revolutionary struggle. And he knew that the best way to do it was to go forth, and those hungry newspaper reporters, who are shocked, who are going to be shook up, are going to be blasting that news faster than they could be stopped. I said, "All right, brother, right on. I'm with you. We're going to the Capitol." So we called a meeting that night, before going up to the Capitol, to write the first executive mandate for the Black Panther Party. Huey was going to write Executive Mandate Number One. (2) Bobby Seale, interviewed by CNN in August 1996. I knew they (FBI) were watching us. ... They heavily focused in on us when we started to grow so rapidly. We began to grow rapidly really after Martin Luther King was killed. ... With Martin Luther King's death, by June, my party was jumping by leaps and bounds. In a matter of six months, we swelled; in 1968, from 400 members to 5,000 members and 45 chapters and branches. ... Our newspaper swells to over 100,000 circulation. By mid-1969, we had a 250,000 circulation. So, with the Breakfast for Children Program spreading across the country, getting a lot of media play, the Preventative Medical Health Care Clinics, the doctors, the medics - I mean, this is authentic medicine, preventative medical health care clinics, the people donating their time. We got 5,000 full-time working members in the Black Panther Party, mostly college students; these were college students: I would say 60 percent of them were college students from after Martin Luther King was killed, because they were so upset and so mad that they killed Martin Luther King, they postponed their college education and said, "I'm joining the Black Panther Party." (3) Bobby Seale, interviewed by CNN in August 1996. Marxism didn't even come into play with our organization until we picked up a red book one day. But the Black Panther Party had nothing to do with it; it didn't evolve out of Marxism. ... From 1962-1965, the Black Panther Party was based on a complete study and research of African and African-American people's history of struggle. That's truly what it came out of. If you notice, in our 10-point platform and program we make no Marxist statements. In terms of the concept of economics at that time, what I developed best was a concept of community-controlled cooperatives in the black community, which largely I picked up from W.E.B. Dubois. So I mean, I sort of got there from W.E.B. Dubois and a few other reads. But Marxist-Leninism per se was really a latter development: not until 1968 that we really considered the Red Book required reading.